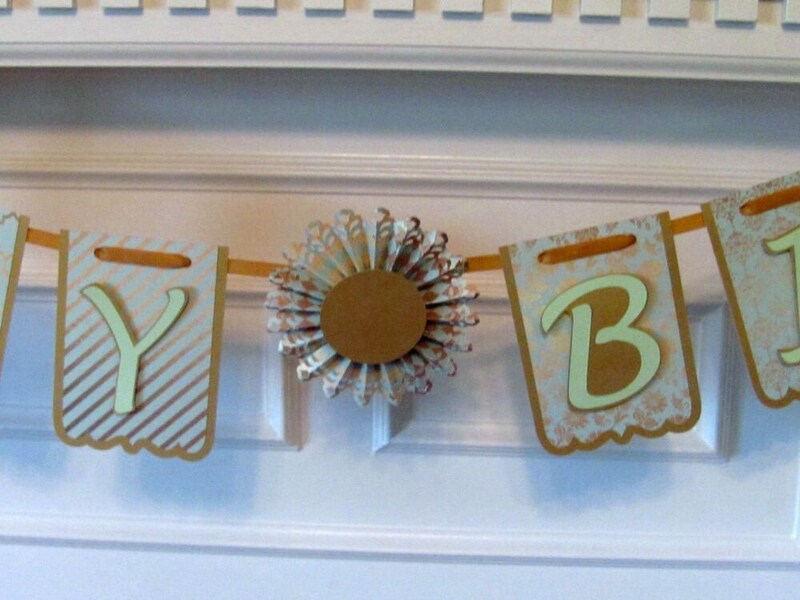 This listing is a for a mint and gold birthday banner featuring metallic gold cardstock with a mint & gold designer paper overlay. Letters are mint with gold shadowing and are raised for a 2-d effect. A elegant gold and mint rosette is used for the word separator. Panels are 4" wide and 5 1/2" in height. 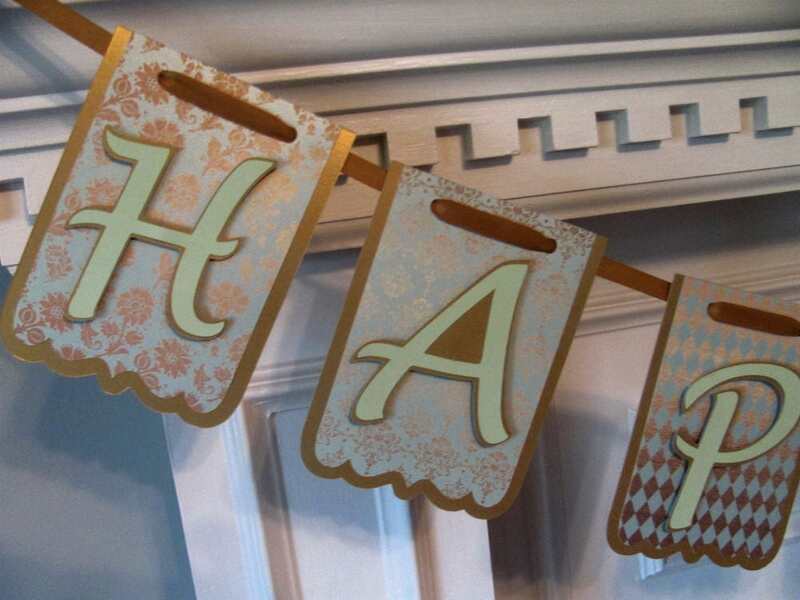 An additional name banner may be purchased for a personalized touch. 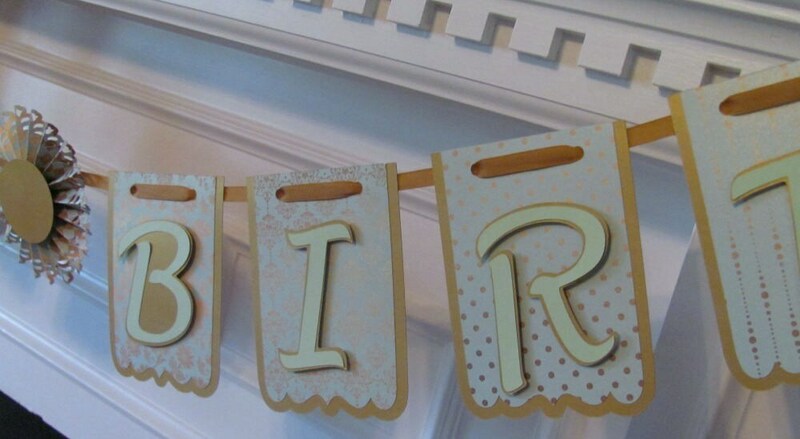 Name banner may be purchased for $10.00. Please allow 7-10 day for production time. For rush orders please convo me with your date before ordering. Alternate wording for other occasions is available on request. Please convo me with desired wording for pricing. All orders are shipped within the US by priority mail and come with tracking. International orders are shipped via US first class international mail. Please allow 2-3 weeks for international shipping.